The piscivorous Phalacrocoracidae live in lacustrine and coastal habitats, and today have a global distribution. They are the sister taxon of the Anhingidae, which occur in tropical regions worldwide. Anhingas have no unequivocal Paleogene fossil record (see Sect. 7.1.1 concerning Protoplotus), and all Paleogene fossils of the Phalacrocoracidae stem from deposits in the Old World. The earliest record of a cormorant-like bird is an incomplete upper beak from the late Eocene (MP 17; Mlikovsky 2002) of England, which was described as Piscator tenuirostris by Harrison and Walker (1976b). A similar rostrum from the early Oligocene of the Jebel Qatrani Formation of the Fayum in Egypt was assigned to the Phalacrocoracidae by Rasmussen et al. (1987). 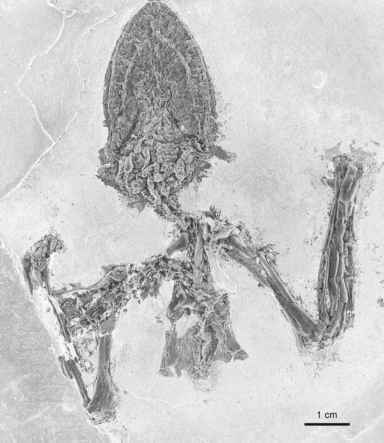 There also exists an undescribed skeleton of a cormorant-like bird from the early Oligocene of the Luberon in France in a private collection (Roux 2002; own observation), and as yet undescribed remains of cormorants from an unknown horizon of the Quercy fissure fillings were listed by Mourer-Chauvire (1995a, 2006). Borvocarbo guilloti Mourer-Chauvire et al., 2004 was established on the basis of a coracoid from the late Oligocene of France, which differs from the corresponding bone of extant Phalacrocoracidae and Anhingidae in the presence of a plesiomor-phic, concave scapular articulation facet (Mourer-Chauvire et al. 2004). 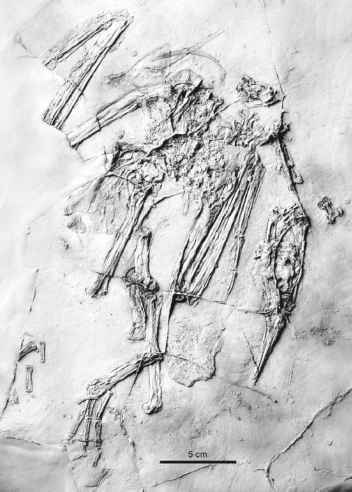 A foot and a nearly complete skeleton of a cormorant-like bird from the late Oligocene (MP 28) Enspel maar lake in Germany were tentatively assigned to Borvocarbo, and described as ?Borvocarbo stoeffelensis Mayr, 2007 (Fig. 7.3; Mayr 2001a, 2007c). This latter species was slightly larger than the extant Pygmy Cormorant (Microcarbo pygmeus), and has an overall morphology similar to that of extant cormorants. It exhibits derived characters of the Phalacrocoracidae which are absent in the Anhingidae, including a prominent nuchal sagittal crest on the skull and a very large patella (Mayr 2007c). Plesiomorphic features, such as the larger acromial process of the furcula, the absence of a proximal projection on the patellar crest of the tibiotarsus, and the less strongly protruding medial crest of the hypotarsus, support a position outside crown group Phalacrocoracidae. A phylogenetic assignment of ?B. stoeffelensis to the stem group of the Phalacrocoracidae is, however, not straightforward. At least two presumably plesiomorphic features, i.e., less prominent paroccipital processes (skull) and a shorter bicipital crest (humerus), even distinguish the fossil species from crown group representatives of the clade (Phalacrocoracidae + Anhingidae) (Mayr 2007c). Limicorallus saiensis Kurochkin, 1968a is based on a distal humerus from the late Oligocene (Indricotherium Beds) of Kazakhstan. The species was originally described as a rail, but was rightly assigned to the Phalacrocoracidae by Mlikovsky and Svec (1986); L. saiensis was slightly smaller than the Pygmy Cormorant, which is the smallest extant cormorant.